We seem to be closer to Heaven and on our own two feet at the June 15, 2013 Bird song and Peon gathering overlooking the valleys below. The heat of the sun this afternoon peels off the cares and layers of imposed western society. Once again, in our own company and our own skin we bask in the Native tradition of this land. The Ipai tradition, the Yuman language is at home in the hills and rocks of eons of generations. This is a land of National History and it is a chronicle of our Federal government doing right and very wrong in history. 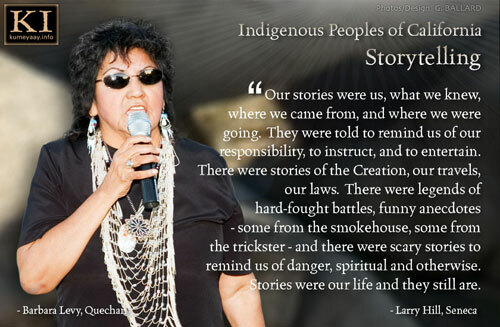 And yet, we survived as a Native people. 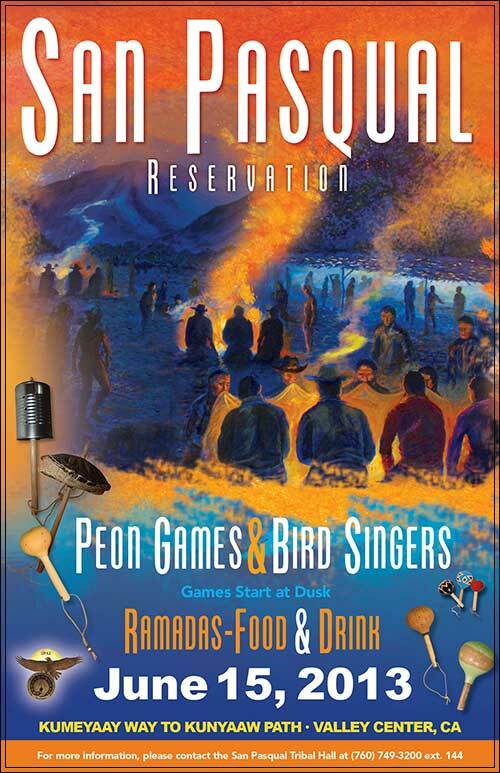 But, that aside for the moment, and looking toward the future this June 15, 2013, Bird song and Peon gathering culture day at San Pasqual is evident of the quality of dedication that a community can provide, by example, for the Indian children. 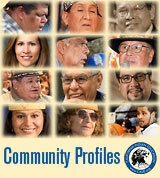 Tribal people from all over Southern California have gathered to visit with friends and relatives. 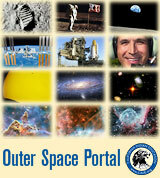 We have come to enjoy the hospitality and festive traditions of thousands of years at these gatherings. There are excellent food booths to sample, beautiful gifts to select choices from and free T-shirts to remember this San Pasqual culture day. The sun dips and the Singers start the Bird songs and the dancers respond as they form and reform into ever changing lines of responses to the songs and singers. These songs are a sweet sophistication of multiple related songs. The lead singer may or may not elect to bring out double step, or triple step songs, spins, turns. Facing the Singers the dancers will often assemble, mostly female, and guided by the gourd rattle and song join in the presentation. The dancing is often inspired by the moment and song selection of the lead singer. 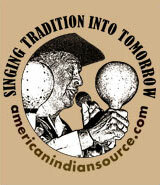 Strong songs sung by stronger singers from the River Tribes call out to the dancers, visitors and our relatives unseen that we are still here. 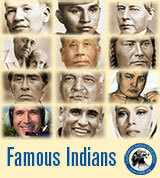 We respected their teachings and examples. We remember them and our songs that sustain us in and thru many changes. We are still here! Singers continue to take their turn into the dusk and night as the fires are lit for the Peon games that might last till dawn. Sometimes after 3am and when the groups are head to head in fierce challenge the best songs come out to encourage the teams of players. 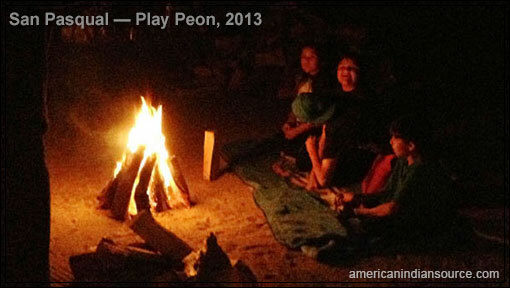 The Peon competition takes place in a highly-competitive game of complex strategy, skill and calculation. It is played with eight players -- four on each side -- with an additional man or woman to act as umpire (Koymi) and award the tally sticks. 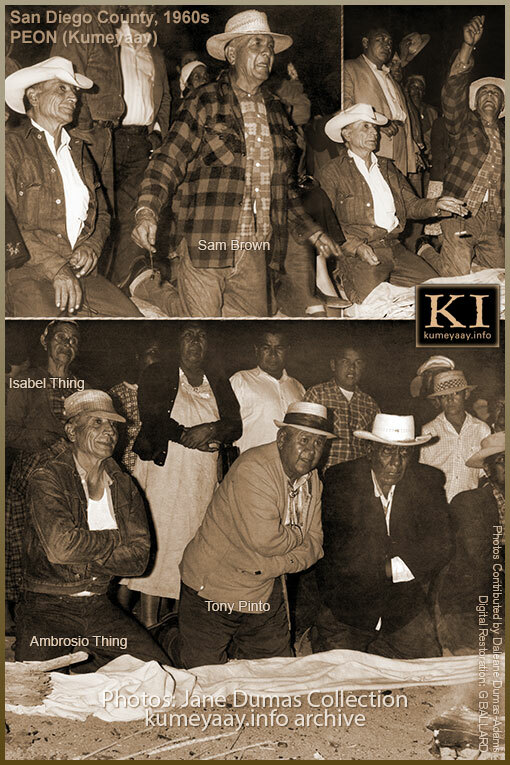 PEON photos courtesy of the Jane Dumas collection, kumeyaay.info. 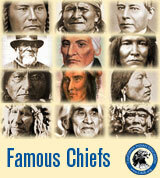 The two sides are usually made up of youth or male or female players from different tribes or bands. Score is kept with tally sticks and the game is won when one side wins all of the tally sticks. 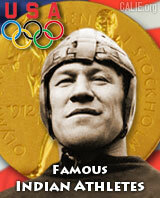 Much betting accompanies the game among the youth, men and the women. The game may be won in a short time, or it may -- as frequently happen -- through an entire night until the early morning, with several thousand dollars or more changing hands. Finally, with the people gathering, the songs sung and the traditional games played create a resonance with the land that is sustaining and empowering. 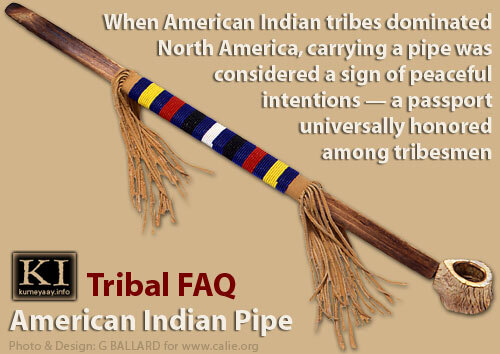 As we do this Tribal custom and tradition we will continue to survive with and on this Indian land. 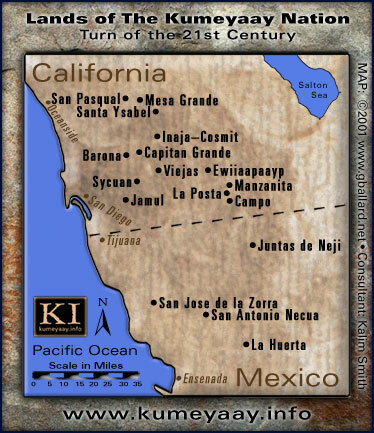 KUMEYAAY GUIDE territory of the Kumeyaay at the turn of the 21st century. 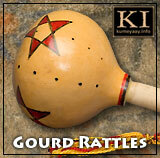 KUMEYAAY AT THE SMITHSONIAN — the Kumeyaay Nation was featured in the Smithsonian National Museum of the American Indian "Our Lives" exhibition in Washington D.C.
CALIFORNIA INDIAN SOVEREIGNTY — the San Pasqual Band of Diegueño Mission Indians of California is one of twelve federally-recognized Kumeyaay bands in Southern California that comprise the Kumeyaay Tribe of North America. 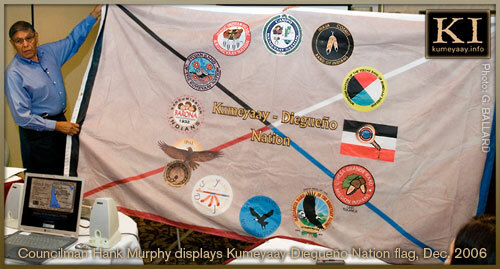 In addition, there are four recognized Kumiai Indigenous Communities in Northern Baja California, Mexico. 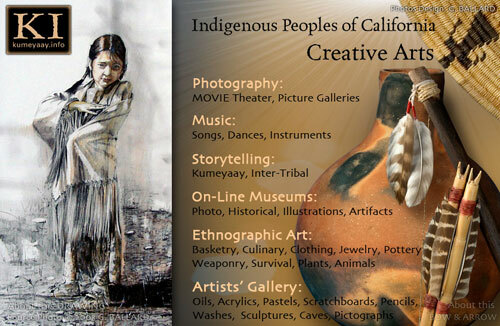 KUMEYAAY CULTURE — learn about the Kumeyaay culture online. 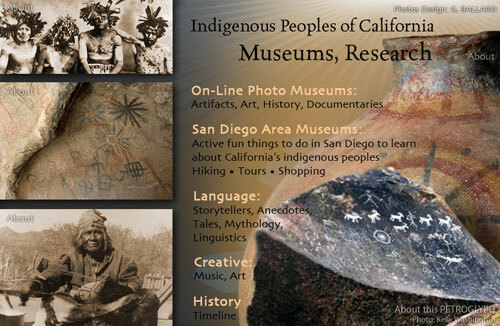 KUMEYAAY RESEARCH — learn information about how to research the Kumeyaay Tribe of Southern California. 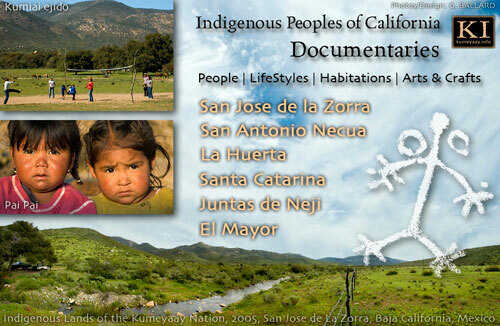 CONTEMPORARY BAJA TRIBAL MULTIMEDIA DOCUMENTARIES — San Jose de la Zorra, San Antonio Necua, La Huerta, Santa Catarina, Juntas de Neji, El Mayor.